This lens features a 180° Ultra Wide Angle, a smooth focus ring & minimised flare & ghost effects with Ultra Multi Coating. 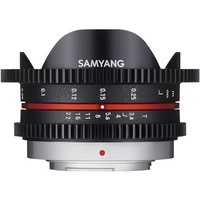 Samyang 7.5mm T3.8 Cine UMC Fish-eye is a mirrorless cine lens designed for MFT sensors. It is highly portable with compact size assisting convenient video shooting. 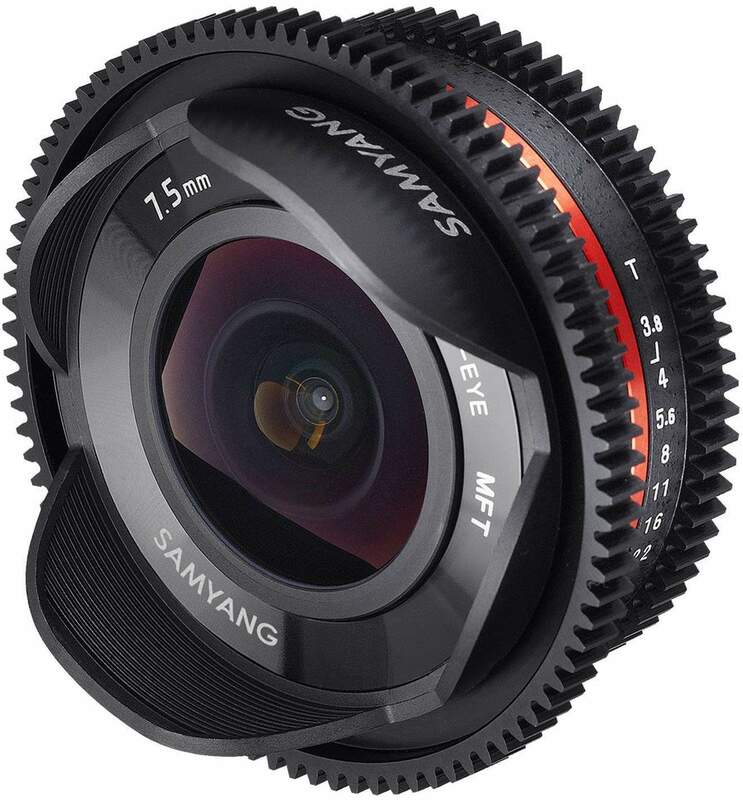 180° of wide angle maximises the feature of fisheye lens. 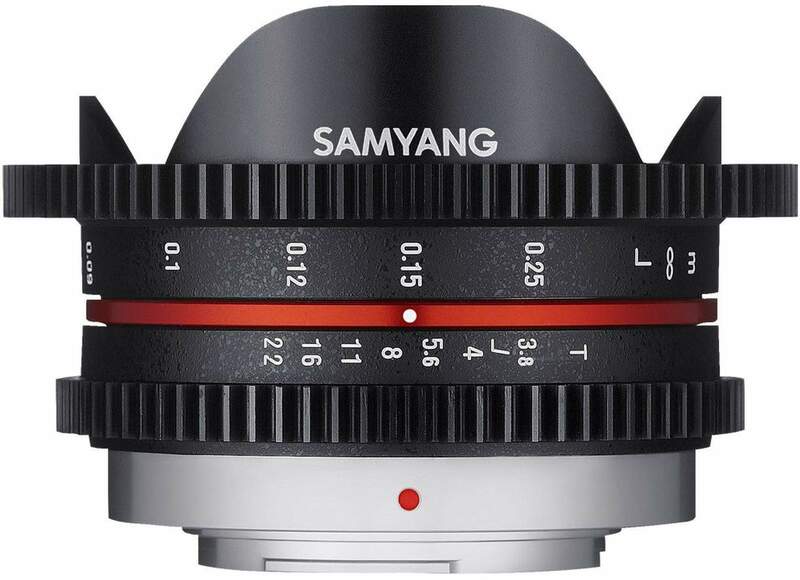 This lens comes in black and silver. The T number guiding the actual amount of light transmission is marked on the lens to film more precisely. 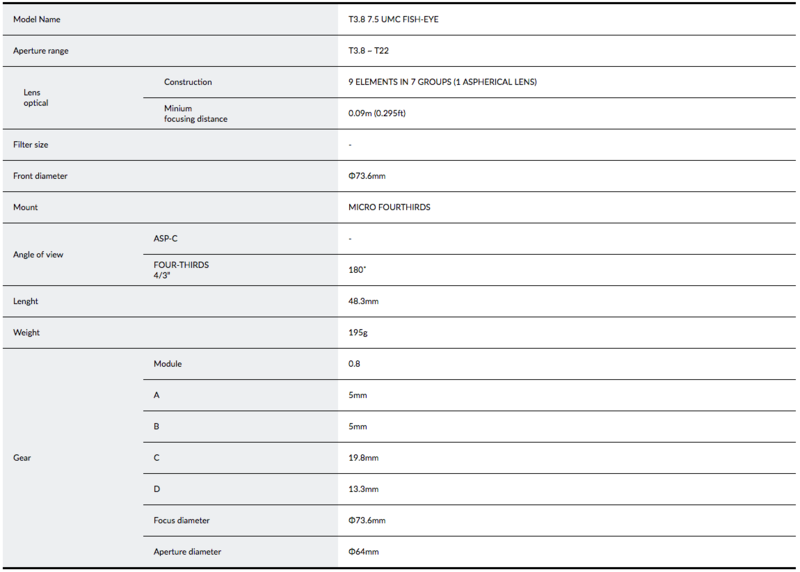 This lens shows an exceptional optical performance especially in light transmission. 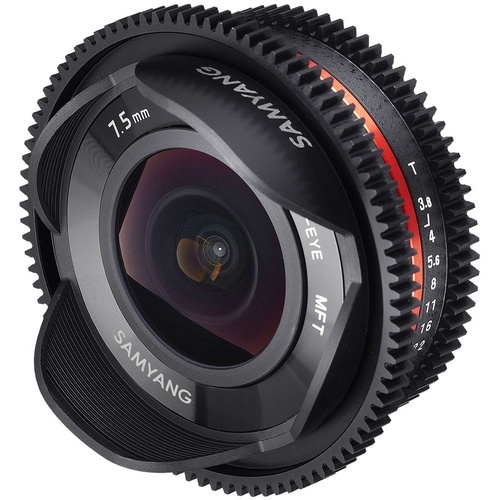 Optical construction of Samyang 7.5mm T3.8 Cine UMC Fisheye features 9 lenses in 7 groups. A glass aspherical lens (ASP) is included among lenses to deliver high image quality and contrast throughout centre and corner of image even when aperture is fully opened. 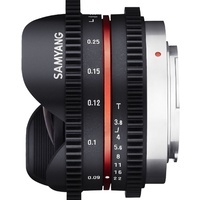 It is appropriate for deep depth of focus films and the minimum focusing distance is 0.09m. It is highly portable with 195g of light-weight. 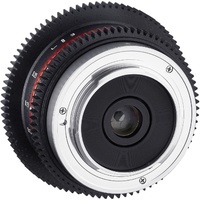 A focus gear ring is installed for follow focus system and the uncoupled aperture gear ring works quietly and smoothly during shooting for precise operation. The lens operates in manual aperture system with low T-number which enables natural shooting under various light exposure circumstances. There are 6 aperture blades designed to be almost as a full circle when aperture is closed which expresses starlike ray clearly and beautifully. The frame of the lens is compact and solid since it is made of high-strength aluminium alloy. Trustworthy images can be captured even under inferior environment. 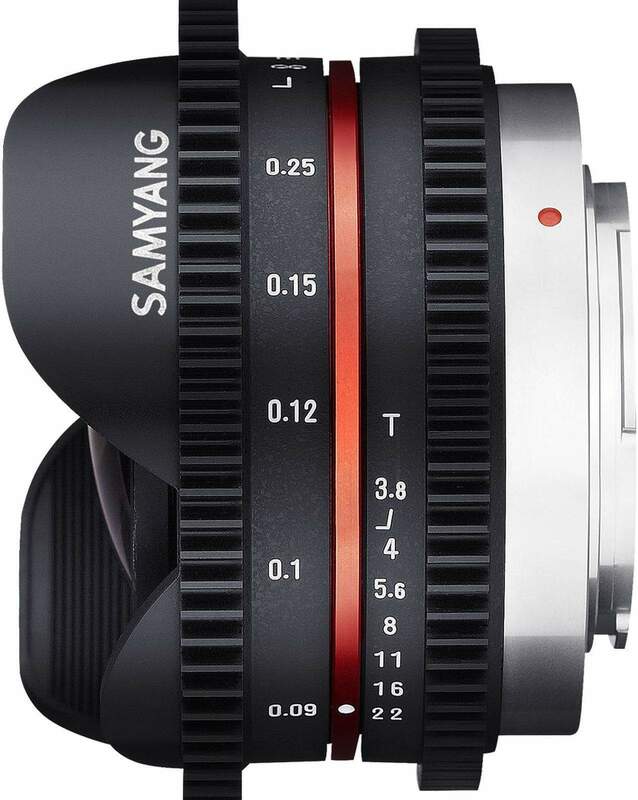 Also, Ultra Multi Coating (UMC) system of Samyang Optics is used to minimise flare and ghost. The non-detachable petal-shaped lens hood prevents unnecessary light. 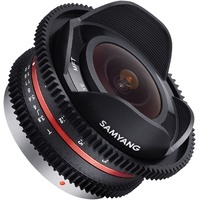 The Samyang 7.5mm T3.8 Cine UMC Fisheye lens is a great choice for users with MFT cameras in need of a fisheye video lens. Help other Maxxum Pty Ltd users shop smarter by writing reviews for products you have purchased.